I finished taking Controlled Labs “REDuction” fat incineration matrix a few months ago but forgot to do a review on it, so here I am letting you know how I liked it. In the box you will receive two bottles for their AM and PM portion of the supplement. Like you can guess there are two pills to be taken in the morning, and two pills to be taken before bed. (Note: the label says to take 1 tablet to access your individual tolerance). The AM pill is to be taken before breakfast, and the PM pill is to be taken 30 minutes before bed or with dinner (not sure why the two options there). In the morning pill you will fine two different complex’s. 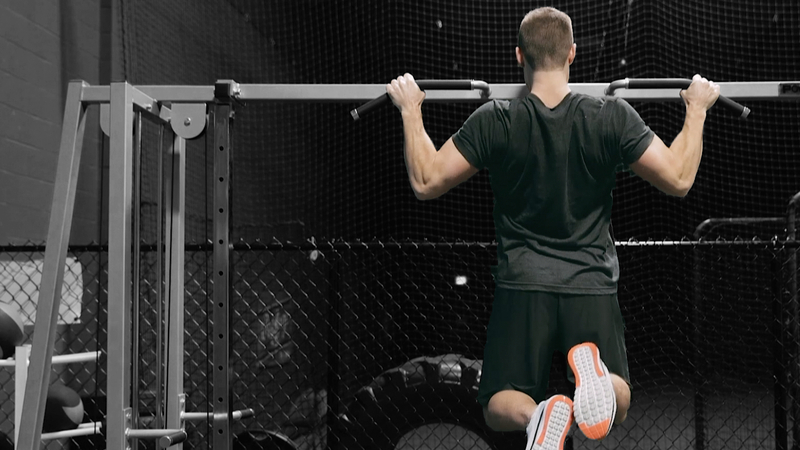 The Red Sweat Thermo Complex that includes fat loss ingredients like Raspberry Ketones and Cayenne Fruit Extract. In the STIMuSLIM complex you will find some stimulants including natural caffeine (important to know if you are taking a stimulant pre workout and you train in the morning), Cocoa Bean, and Citrus Extract Auratium. The ingredients in this morning fat burning pill are to control cravings, improve energy and mood, and give you focus throughout the day. In the night time pill you will also see two different complex’s. The HungeReduction Complex which includes similar ingredients to the Red Sweat Thermo Complex in the morning pull, and the Sleep N Slim Complex which includes some ingredients that helps you get into a deeper sleep. The night pill also helps keep your appetite in control and maximizes your metabolism overnight. The combination of the day and night time pills are perfect to keep your body in a fat burning state throughout the day. Overall I rate the product a 7.5/10. I did notice some fat loss from the pills, and had energy throughout the day from the morning stimulants. I also found that I got myself into some deeper sleeps from the PM pill, which is great for the body (especially if you’re trying to add some lean muscle mass at the same time of stripping your fat). I didn’t notice the effects as much as did with say Animal Cuts because it doesn’t contain any Diuretics, but overall the product worked good. Were There Any Side Effects with REDuction? Not that I noticed at all. If you were to start with two pills in the morning and your body isn’t accustomed to caffeine you may get some jitters because of the 200mg of caffeine in the AM pills. If that is the case I would suggest starting with one morning pill until you get used to it. Along the same lines, if you are working out in the morning or early afternoon and you are taking a pre workout stimulant you may also get some jittery feelings because of the added stimulants. Simply stop taking a pre workout with a stimulant or go down to 1 red morning pill. 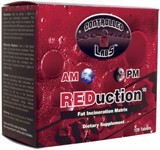 I bought my Controlled Labs REDuction supplement online for just $28 which is a steal I’d say. For my review I will give the price a 9/10. With the supplement lasting 30 days you are looking at around $1 per day. Overall a solid fat burner, but again make sure you are following my Fat Loss Tips first before you add any type of fat burning supplement into your diet.